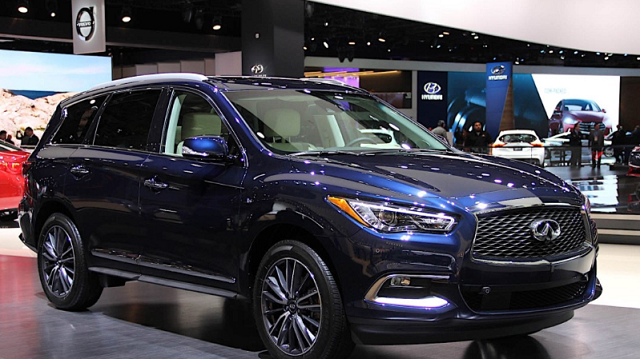 The new and improved 2020 Infiniti QX60 will soon join the world’s market and this time we can expect a few upgrades. So, this time the QX60 should feature some new optional features, a few new exterior colors, and some mild changes of the cabin. On the engine front, the Infiniti should return with the same powertrain and for now, there is no news about the hybrid unit. All the models of the 2020 Infiniti QX60 will be powered with the same engine found in the current model and there is one sole option. So, it is a 3.5-liter V-6 engine which is capable of making 295 horses and 270 pound-feet of torque. The engine will work with a continuously variable transmission and will come with a choice between front-wheel and all-wheel drive configurations. As far as the fuel economy is concerned, the front-wheel drive model will get 20 mpg in the city and 27 mpg on the highway. The all-wheel drive model will be rated at 19 mpg in the city and 26 mpg on the highway. As its predecessor, the 2020 Infiniti QX60 will retain its sleek design with rounded lines. The front end will wear the familiar brand’s grille design and headlights while the profile will get some nice chrome trim. Furthermore, the power-operated tailgate will be standard and it will be recognizable for the bowed window frame at the back of the side windows. As for the interior design, 2020 Infiniti QX60 will feature comfortable and handsome cabin which will have three rows of seats. All the seats will provide very good space but the third row is still the best for children. As well, the second row can be moved forward and back which will make access to the third row much easier. The front seats will be power-adjustable and will have lumbar support. The seats will be upholstered in leatherette and the higher trim levels will feature real leather upholstery. Furthermore, with all seats up, the QX60 will have 16 cubic feet for the cargo which will expand to 4.0.5 cubes with the third row folded down. However, the maximum cargo room will be 76.5 cubes. The base 2020 Infiniti QX60 will come standard with a power moonroof, a power liftgate, heated and folding side mirrors, leatherette seats, a rearview camera, and 8-inch screen, AM/FM/CD audio player with six speakers, three-zone climate control, push-button start, acoustic front windows, blind-spot monitoring, forward-emeregency braking, Bluetooth, USB ports, forward-collision warning, and so on. Furthermore, some of the options will include navigation, Bose audio system with 15 speakers, ventilated front seats, leather seats, headed second-row seats, auto high beams, Wi-Fi, a rear-seats entertainment package, a motion-activated power liftgate, and many other features. The 2020 Infiniti QX60 should hit the market this year, and it will probably be at the end of 2019. The price of the base model will begin at around $45,000 while the higher trims will go up to $65,000.